In the ten years the T3 Awards have been running, we can't remember a doorbell winning a gong. But the fact the superb Ring Video Doorbell has picked up our inaugural Editors' Choice award is perhaps symptomatic of the times in which we live. Smart-home gadgets have dominated the latter part of 2016, and with Google, Apple and Amazon all coming to the party later this year and in 2017, the future looks bright for all things smart home. 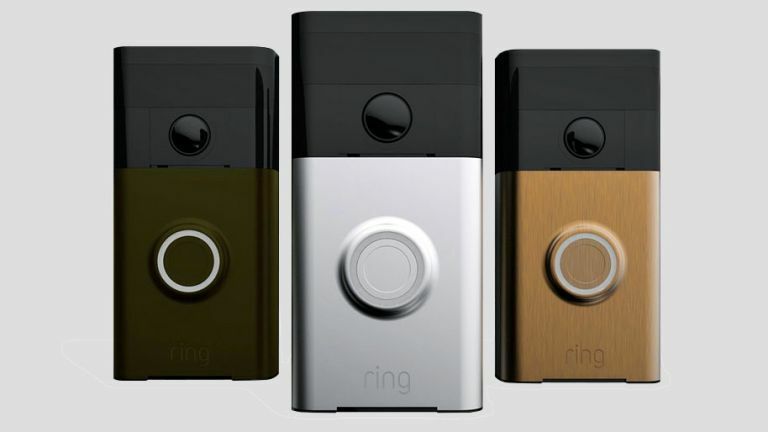 Ring is an ingeniously simple device – and one that can work with your existing doorbell wiring, or standalone using its rechargeable battery. Sometimes, it's the simplest ideas that are the best – and Ring's take on smart security well and truly proves this. What is the Editor's Choice Award? The idea behind this award is to support the great work of the broader UK tech industry. It's a special award from the editors of T3.com and T3 Magazine designed to acknowledge the best launch in the last 12 months from a product available on the market at £500 or under. Shortlisted gadgets will demonstrate either exceptional value within their category, exist in a category where there is little strength in depth or offer consumers a unique twist on a popular device. Unlike many of the other T3 Award nominations there will be no public vote for this category. e winner, as with the other T3 Award categories, will be nominated on the night itself. We have decided that the winner of this award cannot be from a company that is nominated for any other award. This contains all you need to improve your fitness and wellbeing. You get the UA Band, which measures sleep, steps and workout intensity; the UA Scale, enabling you to track your body weight and fat percentage; and the UA Heart Rate, a chest strap that gives you accurate monitoring no matter how intense your workout. This stylish Bluetooth speaker represents incredible value at under £140. 360-degree sound, weather resistance up to IPX4 and 12 hours of battery life on one charge are just some of its great features. The ability to pair up two speakers for multi-room, and change the colour of the frame, are two extra bonuses. Netatmo is a major player in connected security, and its latest outdoor security cam has some truly innovative features. These include people, car and animal detection – meaning you won't get a pesky alert when a familiar being is wandering up your driveway, or if your wife is pulling into the garage. It also includes an outdoor light – set to switch on when it detects a person, car or animal. High-res audio has truly arrived, and one of its pioneers –Astell&Kern – produces some of the best portable players out there. Coming in at under £500, the AK70 represents fantastic value and performance. A beautiful design and build, support for all major high-res audio formats, and Bluetooth streaming – plus the fact that it can double as a USB headphone amp for your Mac or PC – make this a real winner. In a year when we've seen some absolute smartphone belters, the WileyFox Storm has managed to hold its own – and that's remarkable considering it only costs £199! A Qualcomm Snapdragon 615 8939 CPU is at the heart of the phone, powering a huge 5.5-inch Full HD IPS display. It comes with 32GB of storage and 3GB RAM. For under £200, it's simply one of the best handsets out there – and it looks the part, too. KEF is one of the big players in highend audio, so it's no surprise that its Muo Bluetooth speaker is a masterpiece in both design and sound. Designed by Ross Lovegrove, the Muo packs a real sonic punch – and you can connect two of them for CD-quality sound. Also, when you're not streaming via Bluetooth, you can use the 3.5mm jack to connect an audio device. A stunning sub-£300 speaker. Who'd have thought your doorbell could be smart? Well, the Ring is more than just a bell; it enables you to monitor who's at your door – and even talk to them – using your smartphone. Are you in the garden? Just tell the postie you're around the back. At the office? Tell that courier to deliver next door. Unwanted callers? See who they are before you get badgered. Oh, and it detects motion, too, meaning you can get notifications if anyone's approaching the house. Oi, fatty! Yes, you! It's time to start getting in shape and seeing what's really under your skin. And what better way than by using the Withings Body Cardio smart scale. It'll not only give you your weight (of course! ), but also accurate BMI readings, body-fat percentage, water percentage, muscle and bone mass. Last but not least, it'll give you your standing heart rate and enable you to asses your overall cardiovascular health. The Alpha 1S, which stands 398mm (15.3 inches) tall, is a humanoid creation that enables you to control it by writing different movement commands. And that movement is more than just a shuddering gait – the Alpha 1S has 16 servo joints offering a wide variety of movement combinations, and even comes boxed with a set of bespoke gamepads for a quick game of gladiator football! The robots are taking over!